Let the friendly folks at the Kitty Hawk Kayak & Surf School spice up your vacation in the Outer Banks of North Carolina with a with kayak tours, kayak rentals, surf lessons, surf and yoga retreats, surfboard rentals, summer camps, stand up paddleboard lessons (SUP), or stand up paddleboard rentals. Experienced, professional and certified staff will assure that your kayak tour, surf, lesson or standup paddleboard lesson is safe, informative and fun. 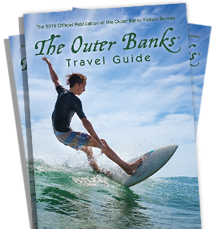 Kayaking, surfing and SUPing in the Outer Banks is a must do for any aspiring waterman, woman or child. Call us today to get you on the water.